1 September to 31 October and T’s&C’s apply. Once inside, the Wrapper Flapper will create a mini whirlwind filled with foam coins to make you feel like you are in a real life casino. With 10 seconds on the clock, speed will be rewarded if you catch one of the golden coins as you will win instant cash or airtime. 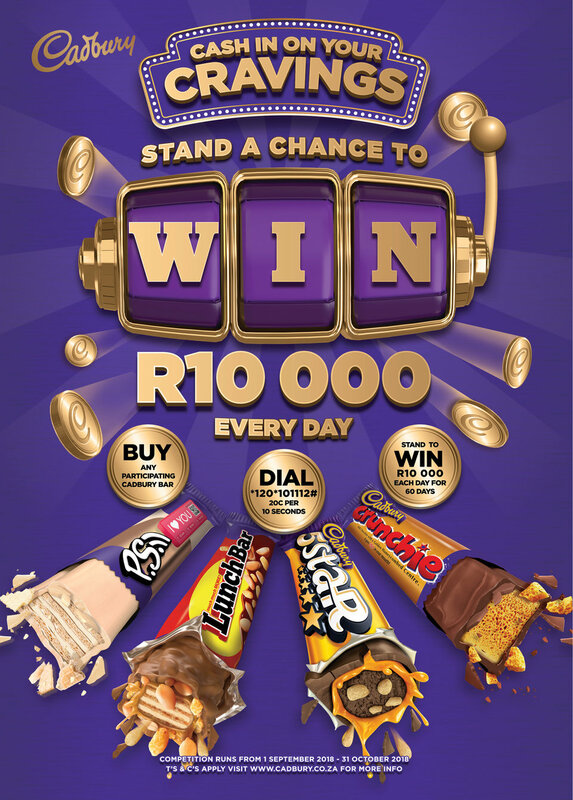 For more information, follow us on Facebook: @LunchBarSA, @Cadbury5StarSA or @CadburyPSbar and @CadburyChocBar on Twitter.